Strategic marketing involves deciding what links to place on your home page. Is your business a household branded name image like Google, Yahoo, or MSN? Maybe it is, maybe it isn’t. Making a decision of what information and links to place on your home page definitely involves a lot of marketing strategy, search engines commonsense, and an innate wisdom of understanding your business role on the Internet. First off all, Google makes a decision on what to place on their home page with the understanding that their brand name is already getting a lot of household recognition. It is not like people have to go searching and shopping for google.com in another search engine for the Google Website to show up in the results. Most people either have it bookmarked, in their favorites, stored on a browser tool bar, side bar, set up as their own customized home page, or simply type it into the Web browser to go to the website. Once on the Google Home page, the most important items for Google are placed on the home page and recently have become customizable with the addition of iGoogle. Their decision of what goes here is based on a marketing strategy in which they understand their role on the Internet. Yahoo and MSN make their own decisions based on their roles on the Internet. Black and white comparisons of your business website to Google, Yahoo, or MSN without taking into account the full brand name realization and role that your business has online would be very foolish. Just because Google has a few items on their home page, doesn't mean you should have a few items on your home page too. Many seasoned marketing experts, but not necessarily search engine marketing savvy experts, talk about having a home page like Google for your business. If you are another household name like Google, then that might be the way to go. However, the majority of websites online are some variation of a B2B, B2C, or C2C businesses or personal sites with many different aspects to consider when deciding what links and information to place on the home page. Take a look at e-bay.com. At any particular time there are well over 150 links on their home page. How much sense would it make to only have 7 to 15 links on a website like this? When people go to eBay they expect to look for items being sold, or intend to list certain items for bid themselves. It really is helpful to have a logical word link on their home page to take an individual to whatever subject matter they would like to see. When a list of categories are displayed online, it can actually help spur an individual’s mind into action. eBay recognizes their branded role on the Internet as being a place where people can buy and sell items online. Consider both Google and eBay as quite unique in their different online marketing approaches. Both of these companies are well known for different reasons. Google has a brand name image of a search engine first and foremost. Their idea is to catalog the world’s information and put it at the fingertips of the consumer, business, and research searcher. eBay on the other hand is a place first and foremost where people place items for sale and others can bid on the items posted. Certainly both of these companies could develop products or services that are similar. In fact, Google has recently come out with Google Base, a place to list items for sale, share information online, or even post employment ads. eBay could get into the search engine business if they wanted; similar to Amazon coming out with A9 Search. In that particular case, the company would have to rethink the logistics of how many links to place on the home page of the search division. Each one of these companies have probably invested into market research to decide on what is best placed on the home page. As the examples show, each company came up with a different marketing solution. Is your business a one product or service company? If the answer is yes, then having less links and text writing on the home page would make sense. However, if a company is multifaceted, and offers a multitude of products and services, it will require much more in the way of a body text description and links within the home page to portray the product or services information to a potential new customer. It also depends on the competitive market place. Customers may actually see your business in a different light than you see your business. If certain B2B or B2C businesses try to portray themselves within a very narrow market spectrum, this might be alienating and disenfranchising a whole sub sector of the market place of buyers that views certain products or services by a different adapted application for what the seller intended the product to be sold for. Likewise, describing a company very narrowly on the home page may be creating this situation of alienation. Most companies will not realize the alienation imparted because they will be leaving out an extensive collection of keywords for the search engines to find from their website, and thus will simply not show up in the Search Engine Results pages. These businesses may not realize the different adopted keywords that might be used by certain business sectors or consumer groups simply because they failed to do the market research. The amount of information in the home page does not tell the whole online marketing story. A website is not a book. It is a folder of online information. A search engine catalogs the information and through the search engine algorithms, places one or two pages into the search engine results pages for pertinent data pertaining to the keyword searches used by the end user. When a searcher online is looking for the specific keyword data that resides in the pages of text, a specific page will be displayed in the search engine results pages - SERP. If the search algorithm selects a specific page from a website in which the likelihood of it being relative to the search query, then it will be displayed in the SERPs. The likelihood of a specific page being displayed in the results for keywords not included in the body text is less likely than if the keywords are included in the text. For that reason alone, it is imperative to use the appropriate keywords throughout the site. That is not saying that every page should have the same keywords, but pages that talk about specific topics should include related keywords and phrases for the topic at hand. Since a search engine does not necessarily display the home page when a search is conducted online, it is important to understand that someone will more than likely enter a website through a number of pages in the website itself. If your business website includes an extensive collection of information, multiple products and services, or manufacturing and technology equipment used to fabricate a wide product variety, then it is extremely important to build the website using all of the phrases related to your industry or industries. So, if your idea is to have a very narrow internet marketing strategy, into a very narrow market segment, then do not include a lot of information on your home page. On the other hand, if you want to expand market reach, obtain more sales leads, and grow your business with new products or services provided, then it is much more important to develop the home page to try and represent these things as concisely as possible but to use industry specific terms for the search engines to find you. In my book, especially for businesses looking to expand market share it is important to develop the entire website to build on the information available. Only then, will pages start showing up in other search engine results. What is the best way of saying it? The answers for each of these key marketing questions are going to be different for every single company. This is stepping out of the written business plan environment and succinctly stating what your business is about on the Internet. For some businesses this will continue to develop and evolve, and for many businesses it will need to be continually updated and adjusted as prevailing market trends and conditions change, or as the company continues to expand into other fields of interest. So, it is unwise to have the comparison of the number of links to Google or eBay vs. another B2B, B2C, or C2C business website since this is not the correct comparison when taking everything into account. Each particular website has its own unique set of variables for deciding what information should be placed online. The only way an effective market evaluation comparison can be done is to take a look at the business as a whole, from both the inside, as well as the outside of the business focused inward. Looking at a business strictly from the outside, may produce a skewed strategic marketing evaluation. The process of developing, maintaining, and adding to a website will require significant market research, understanding of the different business variables, interviewing and spending time with the principal owners, managers, and sales people of the company, and maybe even market research into the type of customer and engineers that are to be targeted, along with obtaining an understanding of the products, services, and equipment provided to all of the various related industries for each specific business being evaluated online. Internet Marketing Services, Online Advertising Strategies, Search Engine Optimization, AdWords Management, Website Branding Solutions, To Provide More Sales For You. Providing Services, Strategies, And Solutions For B2B, B2C, and C2C. Click the link: Contrarian Internet Marketing Viewpoints to print this article for your future reference. Looking for Internet traffic to your B2B or B2C website? Relevant consumer Web Traffic is the key. How do you go about reaching the potential clients that do not know your name, website, or the products, software, or services you sell? Think about what you do online yourself. How do you find the particular consumer items that you need? "Well, that's not hard to figure out, I do a Search engine Search for the Keywords Brand that I am looking for." That was the easy part. Now, think about your B2B or B2C business enterprise. What keywords would someone search for a product or service in your business? Answering that question may be a lot tougher than you can imagine. Take for example a manufacturing company that fabricates all types of metal products across a diverse number of industries. Each industry has a different understanding of the manufacturing processes involved. In fact, your idea of what it is that you do may be 180 degrees different than what your customer says that you do. Consequently, the searches a customer might do from one industry will be totally different than that of another. This is quite a quandary. Reaching those customers will take a creative writing approach to Internet marketing. Ah, something sweet. The taste of sugar to the search engines and your future customers is the key to being found. Including those keywords in just the right places, with in the correct context, with just the right measurements, are the main ingredients to cooking up a batch of tasty Internet marketing messages. Topping it off, requires different pipeline sales cookies for each customer's industry. Sure, there are other integrated Web elements that will help you start showing up in the search engines but the main ingredient still is content in the form of online writing. That is the very foundation. Without content, a website will not have the staying power to perform well for the long haul. The online approach to marketing takes extensive time to write and edit content for the company website. Owners, presidents, and sales and marketing personnel need to implement more proactive strategies in their approach to the World Wide Web. The professional experts are sitting in your chairs. You are the Pro experts. Take the time today to jot the notes down, write a paragraph or two, and start telling your company story. Good content managers can then use those writings and edit the message for the website. 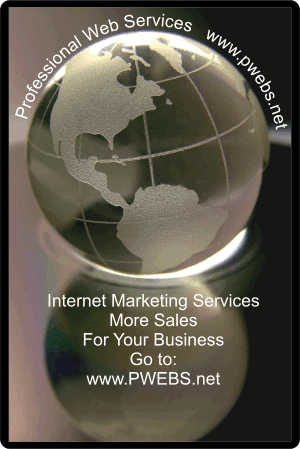 Professional Web Services, Internet marketing and Online advertising services. Click the link: Internet Marketing Creative Writing to print this article for your future reference. Writing is the chief form of communication when it comes to marketing and advertising a product or service on the Internet. Marketing and advertising requires the written form of communication. This can not be overstated. Everything is tied together on the Internet with words. Words are the consumer cornerstone to reaching your audience online. With over 250,000 English words (not including the technical jargon) in use today, placing a small fraction of those in a succinct way, to reach your intended audience, is becoming more important as time goes on. We can help you reach your intended audience with creative writing, call to actions, and working in a partnership form to create, edit, and update content on your website. With our diverse technical backgrounds, sales and marketing skills, and abilities to capture the essence of your company, products, and services; your website can become a 24x7 sales, marketing, and advertising machine. Email us today for the marketing services, strategies, and solutions. Click the link: The Power of the Written Word to print this article for your future reference.